My approach to problem-solving is simple but effective. I look for the practical or outside-the-box solution that will fix the problem in the easiest, most cost-efficient way possible, whether it’s planning on the front end to avoid trouble altogether or negotiating a favorable settlement to keep my client out of the courtroom. If planning and negotiation don’t work, I’m always ready to take the case to trial and do whatever it takes to win. Chair of the Tax Department, Tom Rhodus combines his early experience as a government trial lawyer with over 30 years of private practice to help clients navigate the complex landscape of federal regulation and law enforcement. With diverse clients ranging from healthcare groups and publicly-traded companies to non-profits and wealthy entrepreneurs, Tom focuses primarily on resolving tax and other regulatory controversies involving civil and criminal liability. He has tried numerous cases to successful verdicts in federal and state courtrooms across the country and has also guided clients through investigations conducted by the IRS, the Department of Health and Human Services and other government agencies. During his seven-year tenure as a trial lawyer for the Tax Division of the U.S. Department of Justice, Tom prosecuted countless civil and criminal tax cases and gained an insider perspective that most private-practice lawyers can’t bring to the table. With his first-hand knowledge of how government lawyers think and what they need to get settlements approved, Tom can work more efficiently and focus on creative, realistic solutions, instead of wasting his clients’ time and money chasing impossible outcomes. Clients rely on Tom’s skillful guidance outside the courtroom as well. He provides ongoing strategic counsel to some of the largest physician groups in Texas and a variety of other businesses that need proactive business planning and efficient structures to minimize tax liability and avoid government intervention. He also advises clients on the tax and regulatory consequences of various strategic transactions and guides them through a broad range of day-to-day business decisions and corporate governance issues. Tom ensures that numerous tax controversies and planning matters are in the right hands and always on track to a timely, successful outcome. More recently, the tax group has devoted substantial time to bringing business owners up to speed on the recently-enacted federal tax legislation and helping clients resolve the increasing number of fiduciary claims within trusts and family businesses. 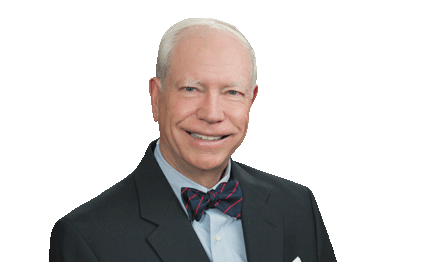 Dedicated to educating future lawyers and giving back to the legal community, Tom has taught as an adjunct professor at the SMU Dedman School of Law for over 35 years, including courses in federal tax procedure and criminal tax fraud. Forced the IRS to concede that imposition of federal excise taxes on diesel fuel sold for export is unconstitutional. Successfully represented a group of physicians in their investment of over $1 million in an alleged "tax shelter". Successfully represented a South Texas dentist in connection with the IRS' "hobby loss" disallowance of his ranching operations. Obtained an order requiring the IRS to withdraw jeopardy assessments of over $35 million in trust fund recovery penalties. Successfully represented numerous "family limited partnerships" in estate tax examinations. Successfully defended a Lubbock business owner with willfully failing to collect and pay more than $700,000 in payroll taxes, in violation of section 7202 of the Internal Revenue Code. Successfully defended an East Texas attorney against conspiracy charge in connection with the promotion of a fraudulent tax shelter. Successfully defended an Austin attorney against charges that he conspired with his clients to commit tax evasion. Successfully defended a former IRS attorney against charges of obstruction of justice. Successfully defended a gasoline wholesaler against charges of tax evasion and money-laundering. Successfully defended an East Texas real estate appraiser against charges of conspiring to prepare a fraudulent estate tax return. Successfully defended the owner of an environmental waste firm against charges of tax evasion. Successfully defended the owner of an Oklahoma City construction firm against charges of tax evasion. Restructured the Texas operations of Mednax National Medical Group. (NYSE: MD), a publicly traded medical practice management company. Structured Transplant Associates of Baylor Healthcare Systems, P.A., believed to be the largest and most successful organ-transplant IPA in the country. Negotiated the purchase or sale of numerous medical and dental practices. Successfully defended an Austin physician against proposed assessment of $8.5 million in "civil monetary penalties" for violation of Medicare/Medicaid regulations. Negotiated the first structured settlement under the federal "Vaccine Act", a fund established for the benefit of children injured by measles and other childhood-disease vaccines. Ongoing representation of numerous health care providers including the formation or acquisition and operation of medical practice groups, particularly in regard to tax and managed care issues. Successfully represented the State of Texas against allegations that it engaged in race-based discrimination in the award of Low-Income Housing Tax Credits. Obtained an injunction against the United States government against its threat to disclose the identity of a person guaranteed anonymity under the federal witness protection program. Obtained an injunction against the United States government against its threatened seizure of privileged client documents from an attorney. Obtained a federal "Civil Rights Act" injunction against the Texas Highway Commission for violating a client's bidding rights on highway construction projects. Successfully represented an accountant in connection with the IRS' efforts to disbar him from practice under the IRS' "Circular 230" regulations. Counsels companies, executives and boards of directors on executive compensation matters, including design and drafting of executive compensation plans such as incentive and non-qualified stock option plans and other equity-based compensation arrangements, Phantom Stock plans, performance bonus and profit sharing plans, stock appreciation rights, restricted stock awards, SERPs, and more.